Cities: Skylines is the SimCity you wanted SimCity to be, said Steve in his preview of Colossal Order’s city building sim a couple of weeks ago. And it’s certainly, on paper, doing everything right, with massive plots of land, customisable maps and loads of mod support. A new trailer from Colossal Order and publisher Paradox Interactive shines a light on the team’s inspirations, and how they’ve gone about crafting the upcoming game. 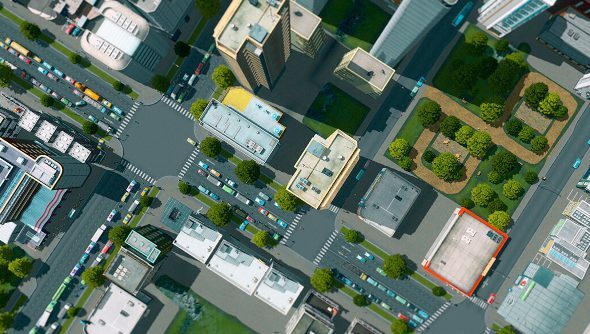 More than a few shots have been taken at EA and Maxis’ efforts with SimCity, and Cities: Skylines is in development because Colossal took one look at SimCity and realised they could do a better job. Certainly, we can at least expect transport systems to actually work in Skylines, as the developer also created the Cities in Motion series, which simulates the transport infrastructure of modern cities. It’s due out later this year, but in the meantime, prospective players can sign up to the newsletter and earn rewards for everyone. As more people sign up, more items get unlocked for everyone to access once the game launches.